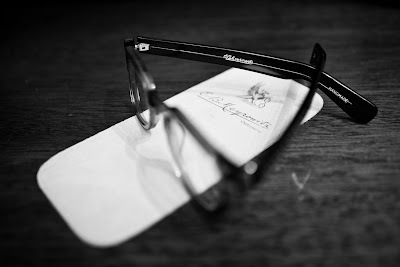 Having been rather taken with both the style and personalised service of EB Meyrowitz (see previous piece here) I decided to have a pair of glasses fitted late last year. The experience speaks of the expertise of Sheel and her sisters, but also of the difficulty in fitting straight-armed models. The style I opted for is called the Starsky. 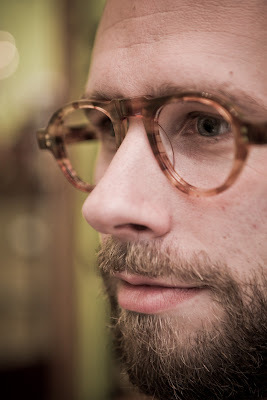 Not that Hutch’s partner ever wore frames of this design, just that he was the general inspiration. You can see them in the photo above, second from top. They are a pale brown tortoiseshell (pattern) in a rather large scale. That combined with the rather square, thick nature of the frame makes them an imposing design, but they won’t necessarily be worn every day. Perhaps more accent piece than functional accessory. One design aspect I particularly liked was the straight arms – as opposed to the usual, ‘hockey stick’ arms that curve behind the ears. The only problem with this design is that it is harder to get enough purchase on the head, curving the arms snugly around the skull, without being uncomfortable. There are a surprisingly large number of variables in the positioning of arms: the angle of the hinge; the angle at which the arm comes out of the hinge (both in-and-out and up-and-down); the curve of the arm at various points along its length (again, curve in/out or curve up/down); the twist of the arm. The first two Sheel had set for me according to her measurements of my face; the latter two we adjusted at least 10 times by heating up the material. Now any optician should look at arm length etc and fit a pair of glasses on you. They will probably use exactly the same heat system. But I’ve never seen anyone take so much time and care over it – it has parallels with the care that goes into the designs and hand-making of the frames themselves. The heat adjustments we did in two sessions a week apart. Sheel was anxious for me to come back to check again, and I feel guilty that I haven’t done so since Christmas. Very few people other than craftsmen care more than I do about these things. It’s a pleasure to work with someone that does. You can follow the discussion on EB Meyrowitz: First glasses, and fitting by entering your email address in the box below. You will then receive an email every time a new comment is added. These will also contain a link to a page where you can stop the alerts, and remove all of your related data from the site. she spent hours cause she couldn’t fit them properly at first time. Heating acetate 10 time weakens the material a lot. would not recommend doing that actually. Very nice style frames though. Do the London shop have any link to the EB Meyrowitz of Paris? Sadly, I didn’t have a good experience with E.B Meyrowitz. I wouldn’t bore you with it, but think it might be useful to your readers. After a lifetime of basic glasses from the high street, I fancied something special, so visited Meyrowitz’s London shop, chose a pair of frames and asked for the same style in sunglasses as well. I actually went twice and on both occasions I enquired about the cost of the lenses. The staff didn’t seem keen to talk about this, and all I was told was that they ‘started at 180 pounds’ but was told it was difficult to predict exactly what they would cost without my prescription. I persisted though, and asked for a rough figure, and eventually was told they would ‘probably be around 300 pounds’. Not cheap, but just about within my budget, so I went ahead and bought the two pairs I then got an email informing me that the lenses for the two pairs of frames would come to around 1200 quid. My prescription is not particularly unusual, so this came as a bit of a shock. I queried it and was told they only used the best quality lenses, UV protection etc. They also, to be fair, emphasised that I was free to have them made elsewhere, if I wished. I did get them made elsewhere in the end, which was an added inconvenience. I got the highest specification lenses offered by a high-street chain, and it cost 300 pounds all in, a quarter of Meyrowitz’s price. Now, I am no expert in optics, but their quoted figure seemed extraordinarily high. On top of this, the frames have been a bit of a disappointment, with one arm stiff and the other very loose, and despite a measurement being taken, not a great fit. I don’t mind paying more for a unique product from a small specialist outfit, indeed I would expect to, but don’t feel I was given an accurate picture of the likely eventual cost on this occasion. Perhaps price isn’t an issue for most of their customers. We are very sad to hear of your displeasure. Please let me begin by saying that we are extremely committed to providing the best possible experience for all of our clients and we apologise that we were not able to give this to you on your first visit to us. Whilst we do not definitively quote on lenses before we have the final prescription in front of us you are quite right in stating that the price you were given was rather astonishing. 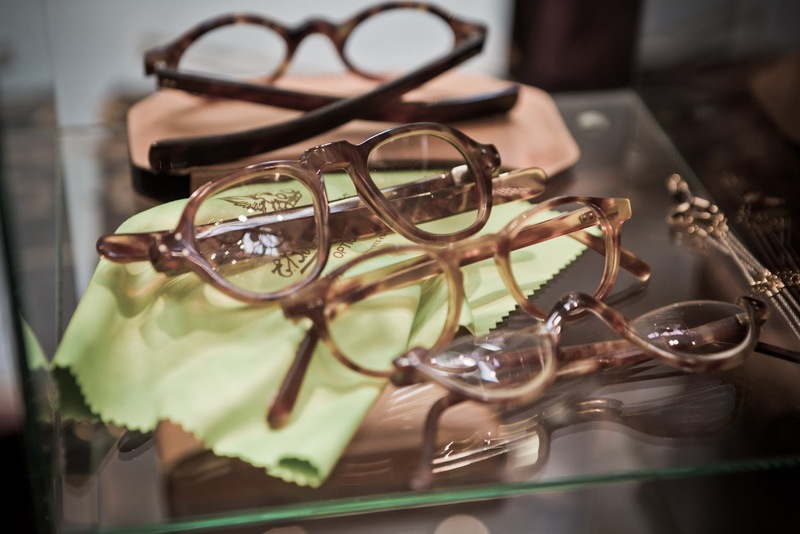 In fact, this price was based upon providing you with multifocal lenses – an oversight on our behalf. Regarding your temples, we are unhappy to learn that they have loosened. This should most definitely not occur so soon into the life of your spectacles. Please stop by at your convenience or even send your frames to us and we will rectify this matter immediately. In respect of the fit, please do pop in on your next visit and we shall make the necessary adjustments for you.